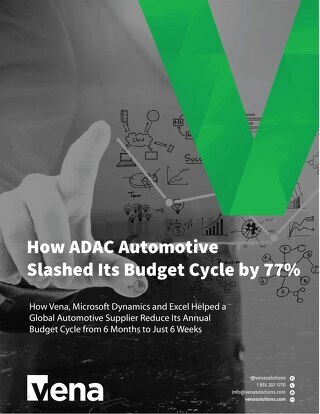 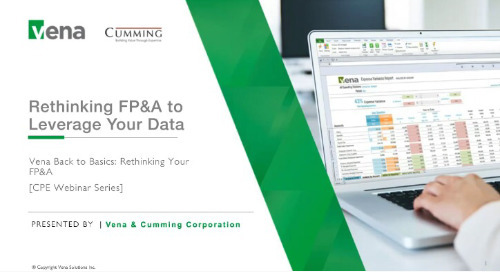 Get a sneak peak and findings at a glance from the full report, Making Excel Work for FP&A. 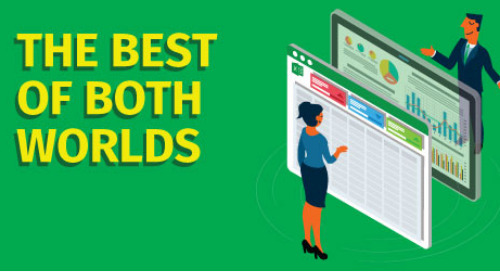 Even after more than 30 years, it's easy to see why Excel remains so popular. 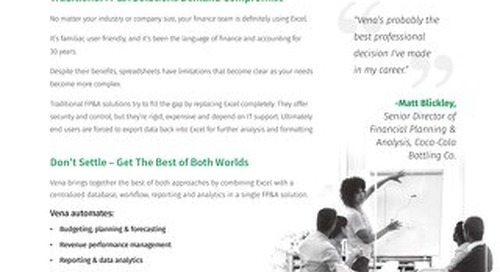 It's flexible, powerful and irreplaceable - especially in finance and accounting. 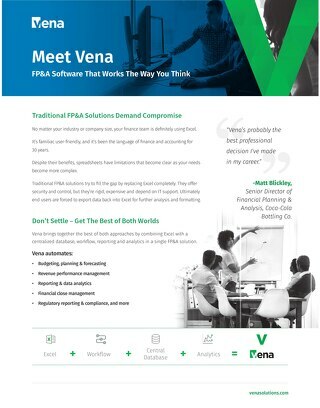 But how well does it work in FP&A today? 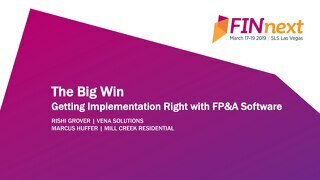 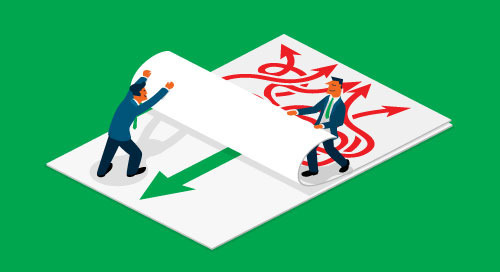 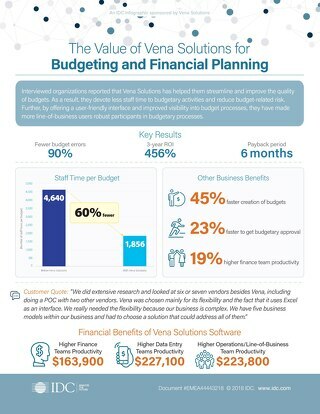 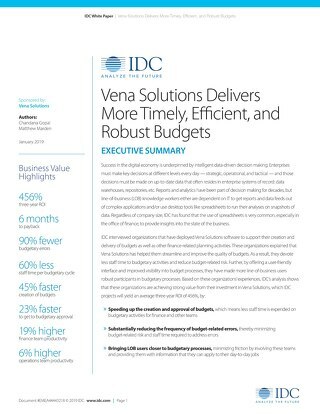 That's the question that Vena and the Association of Finance Professionals set out to answer in this objective research-based guide. 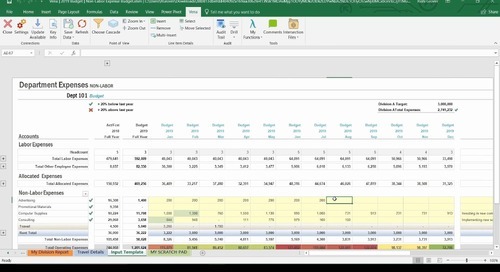 From taking advantage of Excel's full feature set, to adopting FP&A software built around Excel, there's no shortage of ways to get the most out of Excel for your FP&A needs. 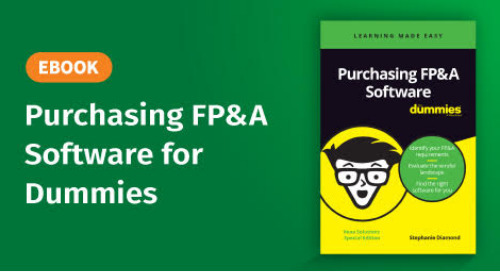 Learn how to research, evaluate and select the perfect FP&A software for your finance, accounting and business needs. 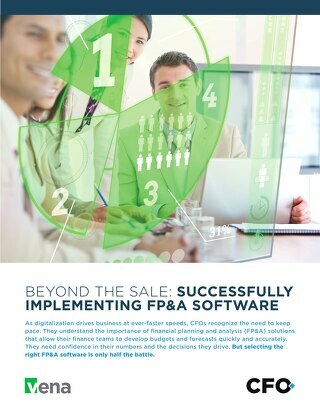 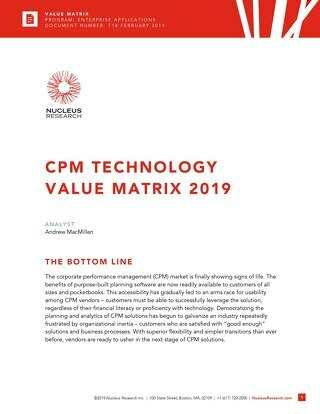 Written for CFOs, Finance VPs, FP&A Directors and other finance leaders. 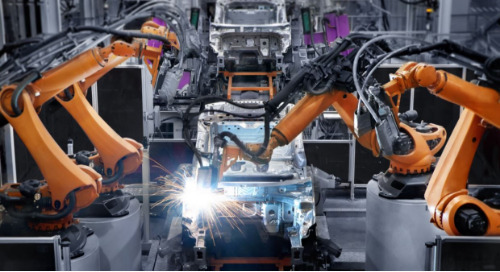 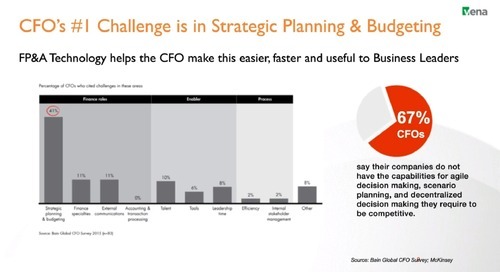 How Can Excel Build a Viable FP&A Future? 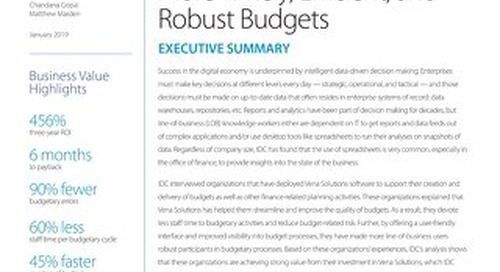 Highlights from a recent AFP report is a rebuttal to anyone who has called for spreadsheets to die. 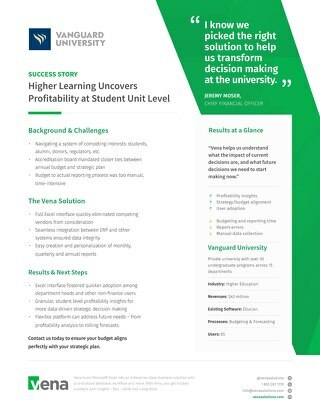 Vanguard University uncovers profitability at a student unit level. 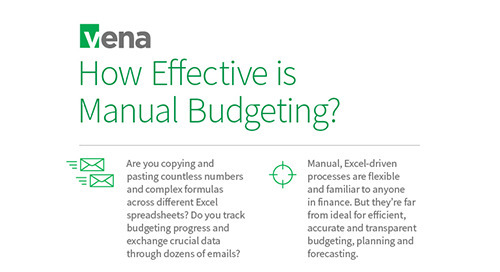 Infographic: How Effective is Manual Budgeting? 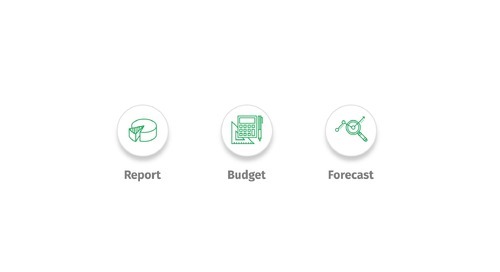 A look at the effectiveness of manual budgeting. 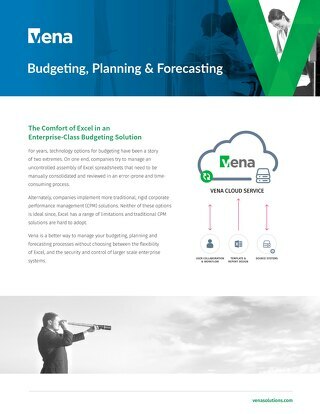 The comfort of Excel in an enterprise-class budgeting solution. 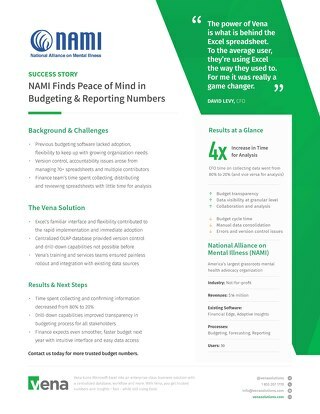 NAMI finds peace of mind in budgeting and reporting numbers.